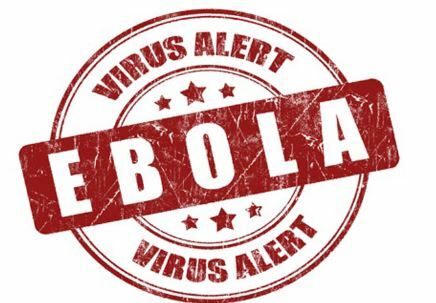 Ebola Denver officials are coordinating with federal Centers for Disease Control and Colorado Department of Public Health and Environment officials in handling the situation. Colorado health officials scrambled to determine whether a man who recently worked with sick people in eastern Congo and became ill Sunday in Denver had contracted the deadly Ebola virus — and doctors also isolated an ambulance crew for testing and were looking for another person in metro Denver who may have had contact with the man.The man had been working with sick and dead people in an area of eastern Congo where a recent outbreak of Ebola had largely dissipated with no new Ebola cases reported over the past 45 days. On Sunday morning, he reported sudden severe symptoms at his residence in Denver, Denver Health chief medical officer Connie Price said. Three members of the Ebola Denver ambulance crew that picked up the man — two of them paramedics, one a student — also were being held in isolation, and Denver public health officials were looking for a “significant other” who may have had contact with the man warranting testing as a precaution. Details were not released on Ebola Denver patient other than to confirm that doctors were assessing the situation with the patient in isolation. Denver Health officials temporarily diverted ambulances away from the city’s main public health hospital but said they resumed normal operations by noon. Denver Health officials on Sunday were investigating a patient in isolation for a possible case of the Ebola virus, authorities confirmed.Denver Hospital officials diverted ambulances and put the facility downtown on lockdown temporarily Sunday, Hillmann said, but had resumed normal operations Sunday afternoon. Denver Health is on normal operations and there is no threat or concern for patient, staff or visitor safety. The hospital is open for business as usual. Denver Health staff is trained and equipped to deal with situations involving infectious diseases. The hospital is one of 10 regional facilities designated by the U.S. Centers for Disease Control and Prevention to care for patients with Ebola.